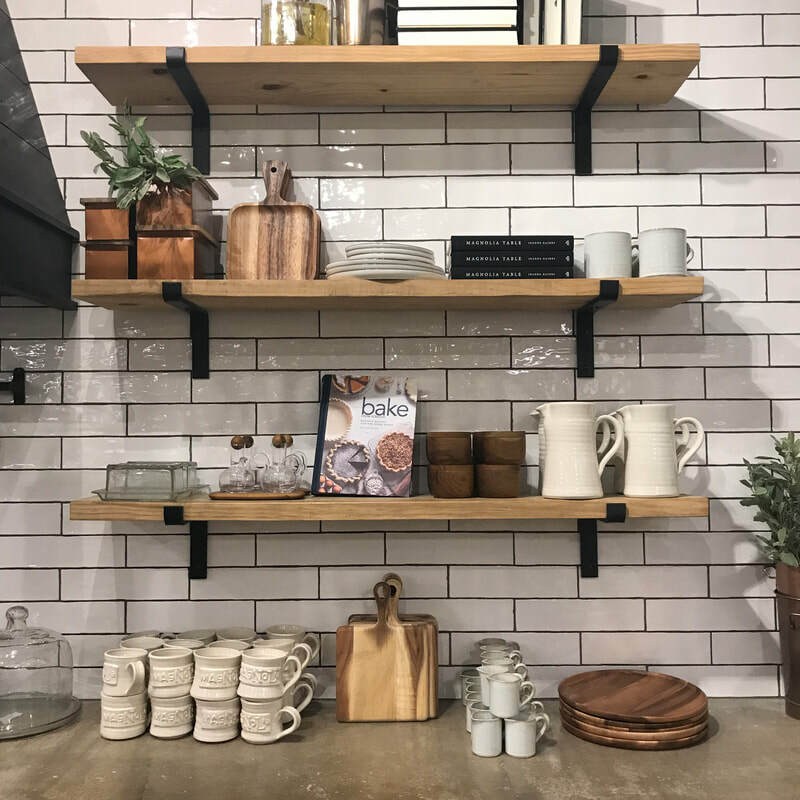 Join us for a day tour, as we travel to Waco, Texas for a little Magnolia Market magnificence and some Fixer Upper fun! There is something for everyone on this tour! Experience Waco, Texas…Start your day heading south on I-35 towards the famous Magnolia Market at the Silos! During the drive, your guide will entertain you with interesting stories of the history of Texas. We will arrive in Waco, Texas before you know it! 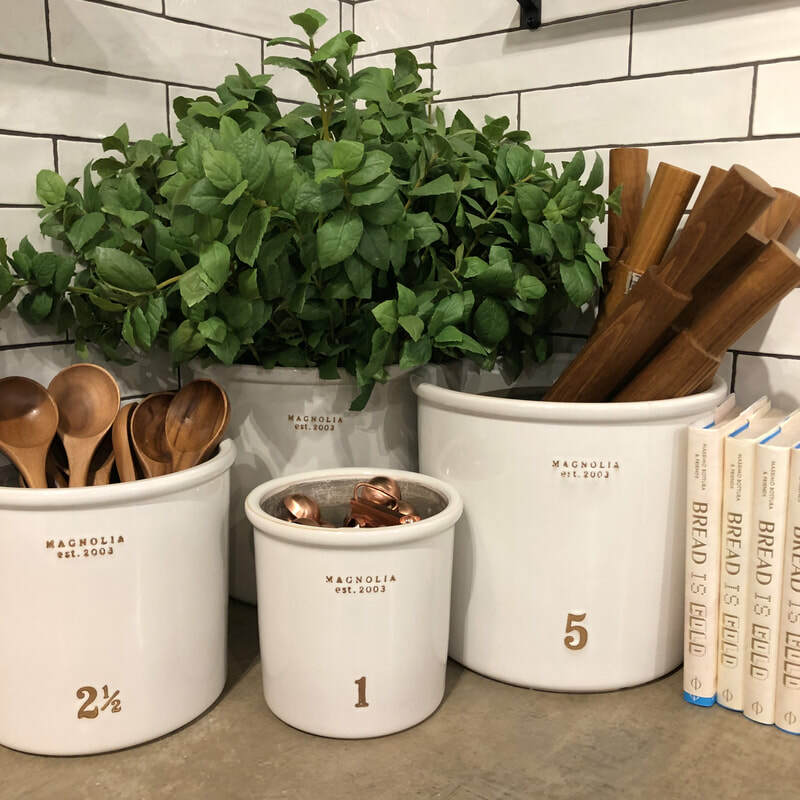 There's a little something for everyone at Magnolia Market at the Silos. Shopping, games, the garden and even a bite to eat. The Market itself is staged and set up with one goal in mind: to inspire you to own the space you're in. Hopefully you'll come to visit and leave excited about your home. 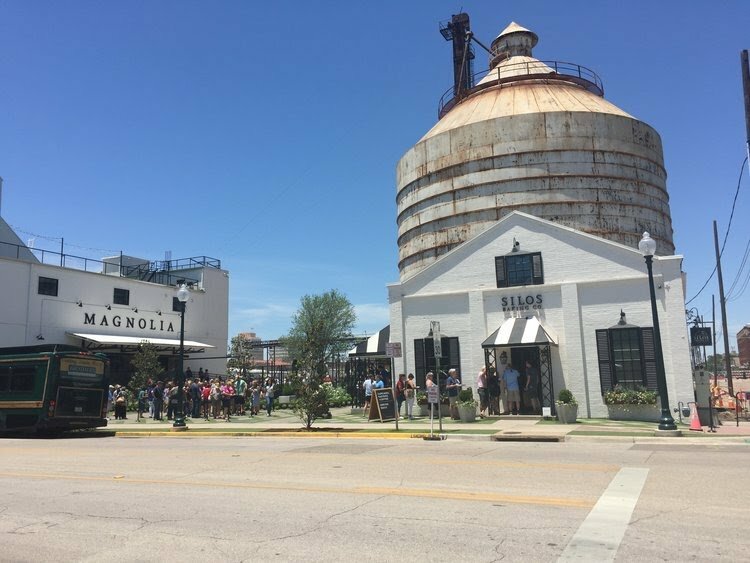 The popular HGTV Stars, Chip and Joanna Gaines, own several businesses in Waco including the Magnolia Silos and Magnolia Realty. 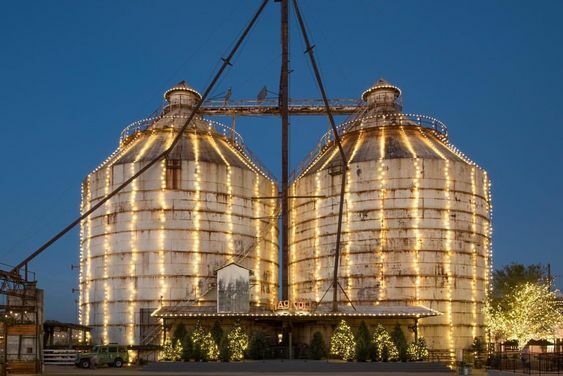 Due to the popularity of their TV show, the Magnolia Silos became an instant attraction as soon as their doors opened in October 2015. Thousands of visitors make the trek to the Silos each week hoping to catch a glimpse of Chip and Joanna; or find some of the great decorative items featured on the show. 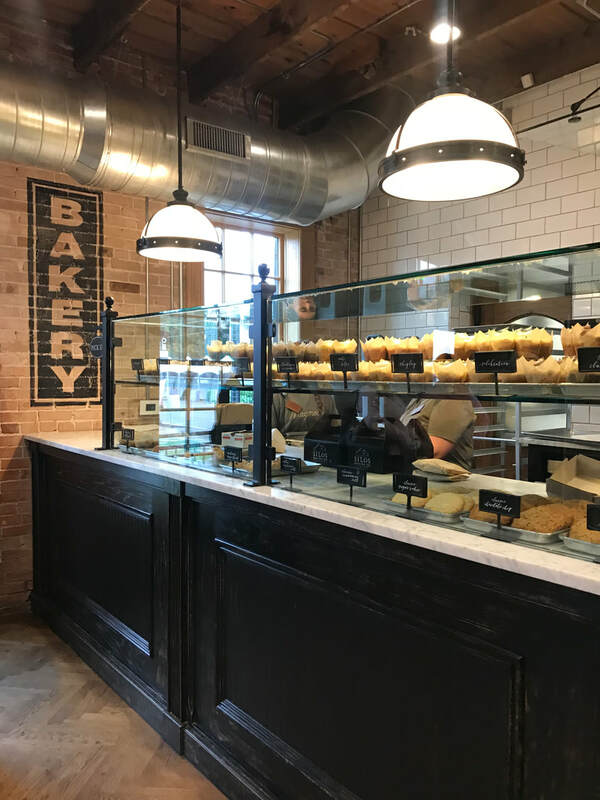 Treat Yourself to Silos Baking Co.…Staff is waiting to welcome you to Silos Baking Co., the on-site bakery filled with Joanna's personal recipes and hand-picked favorites—like "The Silos Cookie", "The Prize Pig" bacon and cheddar biscuit, and the "Nuts & Bolts" cupcake. Don’t miss this little corner of the Silos—it's definitely the sweetest! Visit the Garden….Joanna's vision was that the garden would be a space where the family can explore together and learn the lessons of the garden. There's a wooden teepee to adventure under, beds filled with seasonal produce and flowers, and a garden shop, Magnolia Seed & Supply. This little shop sells gardening tools, flower-growing kits for the kiddos, fairy garden supplies, and unique vessels to plant in. Relax on the Lawn….On the big green lawn at the center of the property, enjoy the big box full of games. Most every sunny day, the lawn is covered up with parents and kiddos playing corn-hole, having potato sack races and throwing the football around. 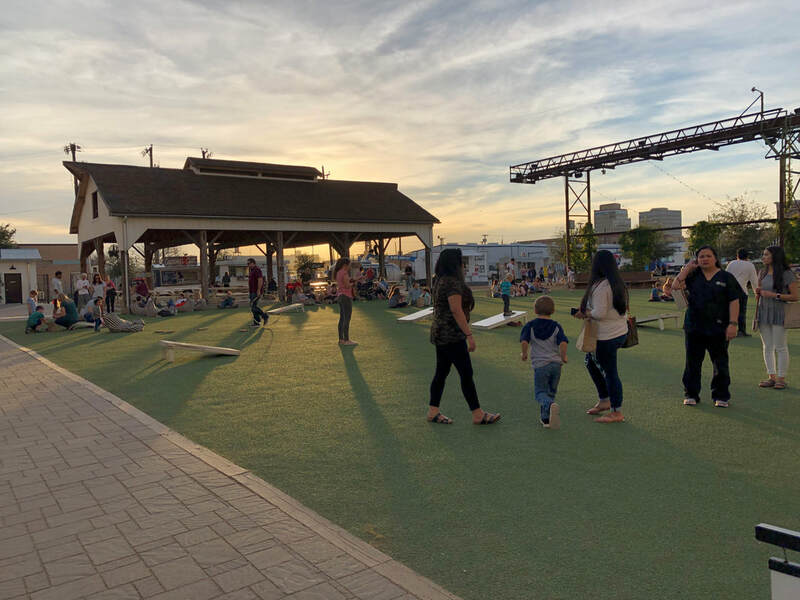 The lawn games make this more than a place to shop, but also a place to play and enjoy time with family and friends or have a picnic in the shade. Grab a Bite to Eat at the Food Trucks….CO-TOWN CREPE, CHEDDAR BOX, 900 PIZZERIA, LUNA JUICE, SUMMER SNOW, CLUB SANDWICH, H.O.T. DOG HOUSE, CHUCK'S GOURMET POPCORN, ALABAMA SWEET TEA and the MAGNOLIA TABLE. ​Visit Jimmy Don’s 36-foot-long trailer in the [Magnolia] parking lot, selling products priced at $40 to $150 apiece. 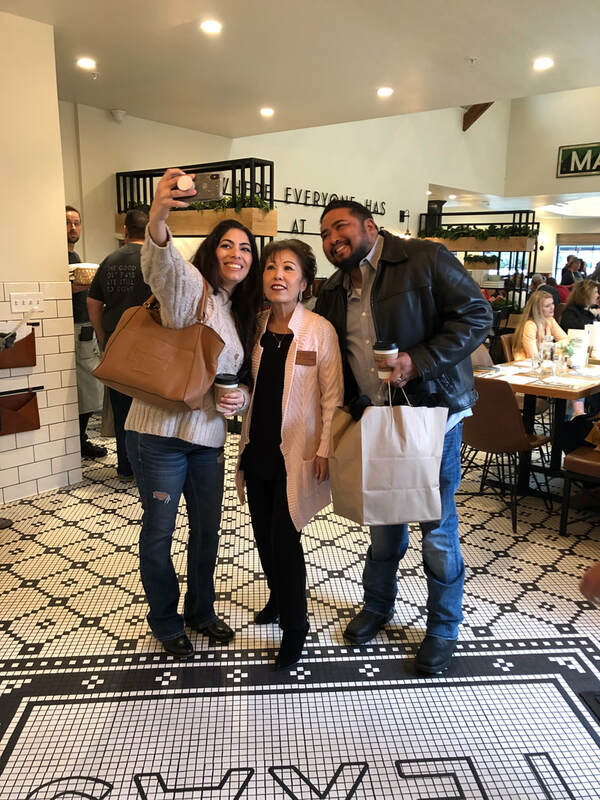 An estimated 400 people a day drift over from Magnolia Market to "browse and take selfies with him," writes Mike Copland in the Waco Tribune-Herald piece. Then off to Harp Design Co. and The Harp House, former home of the Harps for 2+ years, is next door to Harp Design Co, within 1 mile of Magnolia Silos. Many of their pieces are a patchwork of pine, oak, mahogany, walnut, poplar, and other reclaimed woods rescued from old buildings, fallen trees and scrap piles. 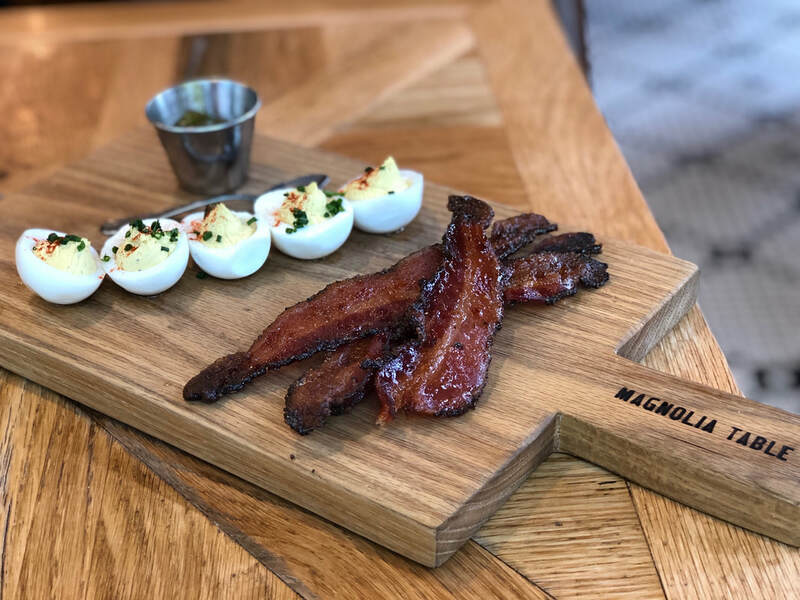 It has taken many years of dreaming and a full year of renovation and preparation to get Magnolia Table ready to serve their guests, As time and availability permits, enjoy a meal with your friends and family, to pick something up to-go, or just to check the place out. Waco’s Historic Suspension Bridge was the longest single-span suspension bridge west of the Mississippi when it was completed in 1870. The bridge was built with cable supplied by the John Roebling Co., who built the Brooklyn Bridge in New York City. Crucial to traders, cattle drives and travelers for well over a century, the bridge stands as an icon of Waco history. In 2008, the first pieces of the “Branding the Brazos” sculptures made their debut next to the bridge. The towering Chisholm Trail sculptures, crafted by Robert Summers, include an over-sized, bronze trail boss driving Longhorns crossing the Brazos. 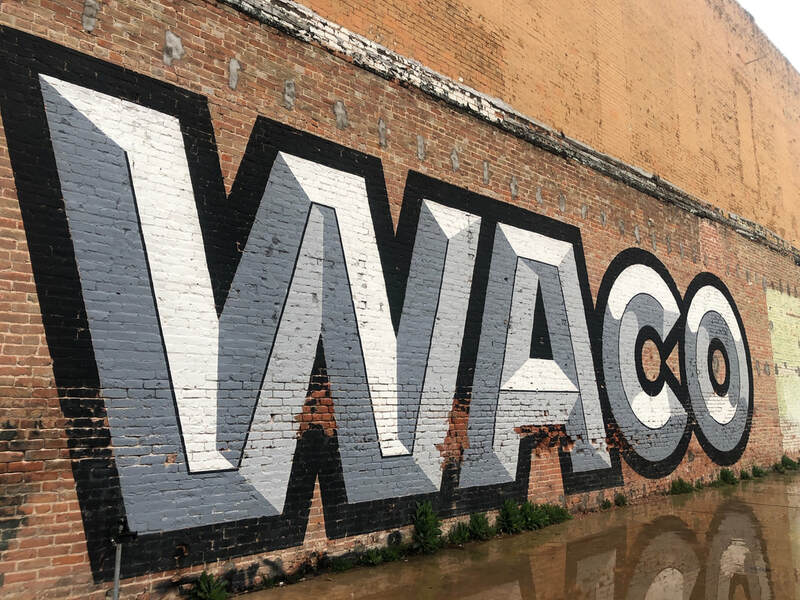 Tour Options including the Texas Rangers Museum, the Dr. Pepper Museum, or the Waco Mammoth National Monument may be added to customize your day tour to Waco, Texas.